On the scale of zero to ‘please don’t make me wait for anything, ever’ – how patient are you? How patient would others say you are? Waiting is not patience. Patience is about how you wait. 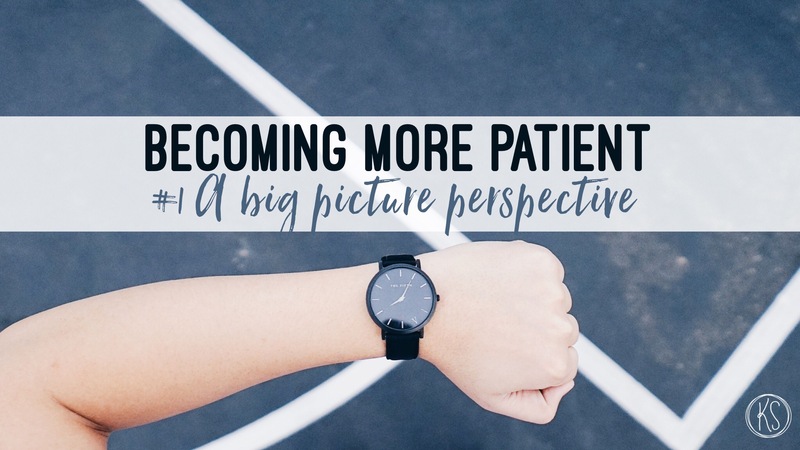 Experiencing delays, problems and suffering doesn’t mean you’re a patient person – because we all experience those – the attitude with which you journey them is the determiner of patience. Doing things for a long time doesn’t mean you’re patient – it just means you’ve done things for a long time! Doing things without becoming annoyed or anxious is the key characteristic of patience. Our attitude, our grace, our tolerance, our peace and calm, our lack of reactivity, our persistence – these are all indicators of our degree of patience. Relationships are where, simultaneously, our patience can be so profoundly tested and also where our patience is so intensely required. Impatient people make for unpleasant work colleagues, parents, partners and friends. Impatience expressed through frustration, snappiness, aggression, huffing and puffing or irritating repetitiveness (‘are we there yet?’) are killers of healthy relationships. We all need to become more patient for our relationships to be positive and enjoyable. As a quick thinker, speaker, mover, responder and decider, I constantly wrestle with impatience. I want everyone to move at my pace and sometimes do poorly at managing the lag time between when I get something and when others do … seriously, hurry up already!!! TIP #1 – WE NEED A BIG PICTURE PERSPECTIVE! Often our impatience comes from being way too caught up in the moment to understand its significance (or lack of) in the big picture. Like aggressively racing around someone in traffic only to be stopped beside the same car at the next traffic light. 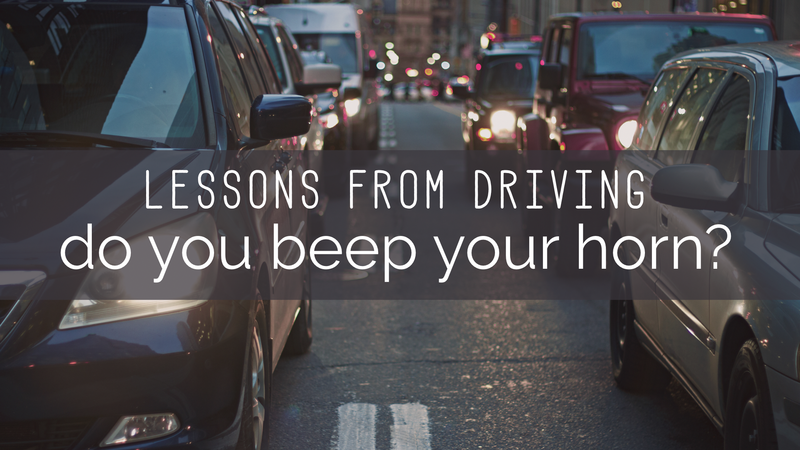 In the big picture of a trip to work, that car going a bit slower isn’t actually going to make us late. But our frustration in the moment can cause us to act irrationally or become unnecessarily emotional (and potentially make unsafe choices). When children are learning to tie their shoe laces parents or teachers can become frustrated by the need to do it – ‘when are you going to get this yourself!?’. But there aren’t many adults who still need their parents or work mates to tie their shoes. They do get it. Keeping that in mind helps us to be more tolerant in the moment. This won’t be forever – even if it feels like it will. So much of our intolerance and impatience is related to growth. We want others to get what we get; to know what we know and think like we think and respond like we do. But, often, they don’t have the same knowledge, wisdom, emotional maturity, life experience, perspective or skills and so are unable to respond the same way we would until they do. When we zoom out our focus to see the big picture it grows our empathy and changes how we gauge others’ actions. Keeping the end in mind can drastically increase our grace, compassion and understanding in the now. What do you think? How would keeping the big picture in mind shift your ability to be more tolerant and patient in your relationships? Have you ever had someone hold a grudge against you? A family member or a friend? You said or did something wrong … maybe recently but maybe ages ago … and they just won’t move on or let it go – they seem determined to hold it against you. I spend a lot of time thinking, reading, learning and writing about relationships because I find that most of my own personal challenges manifest themselves in that space but also the majority of the kinds of things I find myself talking to others about come back to the area of relationships too. Whether I’m speaking to children or parents about family conflict or frustration or people who are struggling to connect well with others in their ministry teams or people having difficulties at work or school – I find myself constantly needing to process with people a greater understanding about themselves and then about others. Prov 4:7 Getting wisdom is the wisest thing you can do! And whatever else you get, get understanding. Other translations say, “though it cost all you have, get understanding/insight”. I can’t even number the times I’ve made bad calls or responded inappropriately because I haven’t fully understood where another person is coming from – what their motives or intent are, what information they did or didn’t have, what other factors are influencing their behaviour or choices. I, like you I suspect, can be quick to assess and quick to judge because I automatically think that they know everything I know – in which case, there’s no excuse for their behaviour. It happens too often – hopefully less often – but too often. Likewise, I could write pages about the number of times I’ve been misunderstood and judged accordingly – and critically. Whether a motive of mine has been questioned or I was saying something in jest and it was taken seriously or someone thought I did something that I didn’t … and then I’ve had to receive the hurtful rejection or criticism … and it’s hard! Relationships take a beating when people don’t take the time to understand or have the grace to give others a chance to explain. “Though it cost you all you have, get understanding.” Never let your decisions – particularly of the negative kind – be made on the basis of presumptions and assumptions. Do whatever it takes to understand fully so any response or reaction is based on truth. START at “I don’t understand” – don’t finish there! When you come to that place in an interaction that you exclaim (or even just think) “I just don’t understand you!” you have arrived at a great place to START to really work on that relationship. When we acknowledge that we don’t understand we are best positioned to clarify misunderstanding and misalignments. “I don’t understand” is the gateway to “help me understand” which is the key to unlocking all sorts of wonderfully healthy things needed for your relationships to flourish. Choose to fill the “gap” with TRUST. At our Kids Min Team Retreat I made a commitment to my team that I would always seek to fill the gap of understanding with trust. That when I don’t know why they did or didn’t do something, or when I hear something about what they’ve said or done, or there’s a chance for disappointment in an unfulfilled expectation … I would presume the best until I knew otherwise. I committed to trust that whatever I didn’t know or understand would be enough to have me not need to react … so I will wait. It’s really hard to do – but it’s really worth it. It can save us a whole lot of unnecessary hurt and set us up in the right position to move forward in our relationships. As far as it depends on you … how much energy do you invest into understanding others? What would it look like if you were to let “I don’t understand” be the starting point for relational interactions? How might things change if you were to fill any gaps in your understanding with trustinstead of suspicion, doubt or judgement? I’m a little addicted to Pinterest. Just a little. Some of you will relate. It’s a veritable treasure trove of creative ideas and handy hints and a reliable source of inspiration for almost every project, storage conundrum or DIY task you could encounter. “3 ways to do that”, “5 things you didn’t know about this”, “74 games to play with one balloon”, “how to remove any number of stains from your clothes, carpet, couch or cat” … you name it! Pinterest boasts over 70 million active users and I would posit that its success is found in the fact that it taps into people’s general desire to “get better”; to “move forward”. To always be growing and improving, becoming more proficient at what we already do or to learn something new. We’re always investing time in learning. We read books, magazines and blogs, we watch things on TV, we talk to people with more knowledge or expertise, we go to classes or buy the latest tools and gadgets. We are constantly looking for ways to be more efficient or effective – in our work place, in our sheds and workshops, in our homes … to save time and money, to get better results. Imagine if we were to invest that kind of energy and effort into our relationships – into loving people BETTER! Imagine! Imagine if we took classes in how to do relationships or read books on the topic. Imagine if you had groups that got together JUST to discover how to be better at communicating or conflict resolution or understanding people in your life. Imagine! The resulting transformation in our relationships, our families, our communities … our world … would be immeasurable! In John 13:35 Jesus says that our love for one another will prove that we are His. The testimony of loving, healthy relationships will show that we are Jesus’ disciples because when we love we look most like Him. And when we love like Him we show a hurting, broken, needy world a way of living and doing relationship that is different to anything they could experience apart from Him. I know what you’re thinking – and I tend to agree – all of your relationships would be so much better if “they” were better at loving! How many people do you know who could benefit from some good up-skilling in their relationship-doing!? There are so many people who really need to get better at communicating, serving, listening, anticipating, obeying, apologising (& forgiving), remembering, submitting … you know what I mean! They really should read this article. You should forward it to them! As far as it depends on you! And by ‘you’ we can gather Paul is talking more to ‘me’ than to ‘them’. As far as it depends on ME, live at peace with everyone. What would it look like for you to do everything that is possible to make all of your relationship better? To take full responsibility for everything that ‘depends on you’ – your attitude, your pride, your responses, your language, your tone, your generosity, your sacrifice, your effort. In the next 5 blogs we’ll look at specific ways we can grow and increase our capacity to love others. But it starts with embracing this idea first: at least SOME of the relational conflict, tension or disappointment you experience ‘depends on you’. Not all, but probably some – and probably more than we would care to acknowledge.